Be a part of the Lucky Hands Contest every day from Sunday, the 21st of November to Tuesday, 23rd of November 2004 and get awarded. On those 3 days, starting from 18:00 hrs EST, until midnight each day each 100,000th hand will be our lucky hand. Each person playing in those hands will win $100 in his/her partypoker.com account. The winner of the hand will be awarded $500 in his/her PartyPoker.com account. After 18:00 EST, the next hand, which is a multiple of 100,000, will be the first lucky hand. If for example, the 1st hand being dealt after 18:00 hours sharp is #691,842,321 then the 1st lucky hand will be the hand number 691,900,000. The 2nd lucky hand will be the hand # 692,000,000. The 3rd lucky hand will be hand # 692,100,000 and so on. * PartyPoker.com will at random select some of the lucky hands and make surprise additions to the award pool (enough to throw you off your seats). Each winner will be informed by email about the winnings and the money will be added at the end of the day. Hands played on tournament tables will also be included for this promotion. Players sitting out on the Lucky hand will not be eligible for this promotion. * Only hands dealt on PartyPoker.com tables will be considered for this promotion. Only PartyPoker.com players are eligible for this promotion! Feel like escaping the winter doldrums and spending 10 days in the sun down under? This is your unique chance to win a fantastic all expense paid trip to Melbourne, Australia! All you need to do is play! There are still some places left on our Crown Casino Aussie Million Satellite Tournaments. An entry into the No Limit Hold’em Tournament worth approximately USD $7,400. 10 nights in the fantastic Crown Promenade Hotel (Jan. 11th - 22nd). USD$2,500 extra cash to pay for airfares and discretionary spending. Name: Aussie Million Satellite B. When: Every Saturday at 11:15 PM ET. Sit & Go Single Table Tournament $70 + $7. Sit & Go Tournament $10 + $1. Aussie Million Sat.B Qualifier Multi-Table Tournament $33 + $3. Winners of "Aussie Million Satellite B" Qualifiers will be registered automatically for the next Aussie Million Satellite B Tournament. Prizes: As many Crown Casino Aussie Million Packages as possible. Any extra money will be paid to the next 3 places (50%, 30%, 20%). Aussie Million Satellite B Qualifier Sit & Go Single Table Tournament $70 + $7. The Aussie Million Satellite B Qualifier Sit & Go Single Table Tournament $70 + $7 will start as soon as there are 10 players registered. The winner gets an entry into the Aussie Million Satellite B Tournament. Prize money for the 2nd place is $55. Winners of the Aussie Million Satellite B Qualifier which finish after the registration of the Aussie Million Satellite B Tournament has closed on that day will be registered for the next Aussie Million Satellite B. The Aussie Million Satellite B Sub Qualifier Sit & Go Single Table Tournament $10 + $1 will start as soon as there are 10 players registered. The first place get an entry into the Aussie Million Satellite B Qualifier Sit & Go Single Table Tournament $70 + $7. Prize money for the second place is $23. Winners of the Aussie Million Satellite B Sub Qualifier will have to register themselves into the Aussie Million Satellite B Qualifier Sit & Go Single Table Tournament $70 + $7 of their choice. There will be no refunds for multiple entries into the Aussie Million Satellite B Qualifier Sit & Go Single Table Tournament $70 + $7. One seat in the Aussie Million Satellite B tournament will be awarded for every 20 entries. If more than multiples of 20 enter, the remaining money will be awarded to the next three highest finishers on a 50%, 30%, 20% ratio. For example, if there are 110 entries, the prize pool breakdown will be as follows: 1st place - 5th place = Seat, 6th place =$202.5, 7th place=$121.5 and 8th place=$81. Registration closes 10 minutes before the start of the Tournament. Stylish and thoroughly modern, the Crown Promenade is one of Melbourne’s finest hotels. It is located right in the heart of the action - Melbourne’s vibrant Southbank entertainment precinct. Directly linked to the exciting Crown Entertainment Complex by airbridge, Crown Promenade Hotel is also close to the CBD, the Melbourne Exhibition Centre and many of the city’s most famous arts and sporting facilities. Win a great holiday for 2 in Costa Rica! 4 nights in a luxurious hotel. When: Everyday 11:45 PM ET. Sit & Go Single Table Tournament $24 + $2. Single Table Sit & Go Tournament $6 + $1. Carib Classic Satellite Qualifier Multi-Table Tournament $20 + $2. Direct buy-in = $200 + $20. Winners of "Carib Classic Satellite" Qualifiers will be registered automatically for the next Carib Classic Satellite Tournament. Prizes: As many 2004 CARIBBEAN POKER CLASSIC Packages as possible. Any extra money will be paid to the next 3 places (50%, 30%, 20%). Please note that you must possess a passport to travel to Costa Rica. Carib Classic Satellite Qualifier Sit & Go Single Table Tournament $24 + $2. The Carib Classic Satellite Qualifier Sit & Go Single Table Tournament $24 + $2 will start as soon as there are 10 players registered. The winner gets an entry into the Carib Classic Satellite Tournament. Prize money for the 2nd place is $20. Winners of the Carib Classic Satellite Qualifier which finish after the registration of the Carib Classic Satellite Tournament has closed on that day will be registered for the next Carib Classic Satellite. The Carib Classic Satellite Sub Qualifier Sit & Go Single Table Tournament $6 + $1 will start as soon as there are 10 players registered. The first 2 places get an entry into the Carib Classic Satellite Qualifier Sit & Go Single Table Tournament $24 + $2. Prize money for the third place is $8. Winners of the Carib Classic Satellite Sub Qualifier will have to register themselves into the Carib Classic Satellite Qualifier Sit & Go Single Table Tournament $24 + $2 of their choice. There will be no refunds for multiple entries into the Carib Classic Satellite Qualifier Sit & Go Single Table Tournament $24 + $2. When: Daily at 4:45 PM ET One seat in the Carib Classic Satellite tournament will be awarded for every 11 entries. If more than multiples of 11 enter, the remaining money will be awarded to the next three highest finishers on a 50%, 30%, 20% ratio. For example, if there are 120 entries, the prize pool breakdown will be as follows: 1st place - 10th place = Seat, 11th place =$100, 12th place=$60 and 13th place=$40. Costa Rica is Central America's special jewel. The country's natural attractions, wildlife and impressive scenic beauty draw tourists from all over the world, making the country one of the best places to experience the tropics naturally and with minimal impact. Covering only 0.03% of the surface of our planet, Costa Rica has approximately 6% of the world's biodiversity. Costa Rica has a territory of only 51 thousand square kilometers but is surrounded by both the Pacific and Atlantic Oceans, only three to four hours away from each other by land or 45 minutes by air. San Jos� is the capital of the country and is abundant in cultural places, such as theaters, museums, art galleries, concert halls, with crafts and fine arts works of the highest order, not forgetting popular and modern music, as well as classical, ballet and opera, and street theater of an avant garde, elaborated style and expression, typical foods, and high cuisine to suit the most demanding tastes, in an ambiance characterized by pleasant manners and spontaneity, is the excellent Costa Rican tourism product. Qualifiers will also be given exclusive PartyPoker.com merchandise. You should wear this whenever you participate in the 2004 CARIBBEAN POKER CLASSIC Championship. By qualifying in the 2004 CARIBBEAN POKER CLASSIC Championship through PartyPoker.com, you grant PartyPoker.com full rights to record your identity, likeness and voice in connection with the 2004 CARIBBEAN POKER CLASSIC Championship and to use this in any manner as PartyPoker.com may choose, in any and all media and manner throughout the world now known or later developed, for any purpose whatsoever including (but not limited to) production, distribution, broadcast, advertising and promotion. Qualifiers cannot sell, transfer, or award their 2004 CARIBBEAN POKER CLASSIC Championship seat to anybody else. Players that win more than one entry into the 2004 CARIBBEAN POKER CLASSIC Championship will be refunded the extra entry. Players have to be at least 18 years of age to participate in the 2004 CARIBBEAN POKER CLASSIC Championship. Players who are less than 18 years and who qualify for the 2004 CARIBBEAN POKER CLASSIC Championship will not be able to participate and will not be refunded. Remember: Players with multiple entries into the 2004 CARIBBEAN POKER CLASSIC Championship will be refunded. The extra entries will be paid into players’ PartyPoker.com accounts. 2004 CARIBBEAN POKER CLASSIC Packages cannot be sold or transferred to anybody else. PartyPoker.com is proud to bring you the fourth annual PartyPoker.com Million. Qualifiers for this World Poker Tour event has been on since March 1, 2004. The Finals will be held in March 2005 and the estimated prize pool is $6,000,000! The PartyPoker.com Million III (which took place from March 13-20, 2004) was the biggest ever WPT event with a prize pool of $3,822,000! Seating at the Sit & Go Single Table qualifying tournaments is on a first-come, first-served basis. The tournament starts within seconds of 10 players being seated. Win your table and advance to the Semi-finals. The 2nd and 3rd place finishers get a FREE entry into another $32 buy-in ‘PartyPoker Million’ tournament. You may play as many PartyPoker Million tournaments as you like and may qualify and play in up to twenty four (24) Semi-final tournaments, four (4) in each of the six sets of Semi-finals. Misbehavior, collusion, and/or abuse of chat or disconnect protection privileges will not be tolerated. Violators are subject to a range of penalties, up to and including disqualification. The Semi-finals will be Limit Hold'em on Thursdays and Saturdays and No Limit Hold’em on Fridays and Sundays. Seating will be randomly assigned. The Semi-finals tournaments will be available under the Semi-finals tab in the PartyPoker Million tab. Saturday and Sunday the tournaments starts at 3 PM ET. Players are requested to take their seats before the tournament starts. If they are not there when the tournament starts, they will be blinded off. Players can register into a Semi-final of their choice by either directly buying-in or by using their freeroll. On registration, players will get a pop-up where they can then distribute their Extra Starting Chips accumulated (if any) as per their choice. In case players want to redistribute their chips, they can do so by clicking on the “Distribute Chips” button from the tournament lobby of the Semi-Final tournament in which they are registered. The deadline to register into a semi-final of your choice and distribute the Extra Starting Chips for that day of the Semi-final is 1 hour prior to the start of the tournament (if the tournament starts at 9 pm ET 6th May then registrations for that day will close at 8 pm ET 6th May). Extra Starting Chips: Players may accrue Extra Starting Chips for the Semi-finals by playing in Real Money games/tournaments on PartyPoker.com. Players will start each Semi-final tournament with a base amount of $1000 in chips and not more than $3000, depending on the Extra Starting Chips each player has accumulated during the qualification period. Extra Starting Chips for each set of Semi-finals can only be accrued during the two calendar months prior to the next scheduled date of the Semi-finals. For example, Extra Starting Chips for the Semi-finals scheduled for May 6-9 will be accrued during the period March 1 through April 30. The Extra Starting Chips have no monetary value and cannot be redeemed for cash or anything else. They are only valid for the Semi-final immediately following the period during which chips are accumulated. The Semi-finals will have the Multi-table tournament format. With the exceptions noted here (such as length of time per Level and Prize Distribution), the standard Multi-table tournament rules and procedures will apply. The Semi-finals will work like a Super Satellite in that as many players as possible will win a seat into the Finals. Package value of winning a Semi-final tournament = $12,600. One Cruise Package will be awarded for every 60 entries. One Cruise Package includes a paid entry into the Finals ($10,000 + $200) and a cruise for two ($2,400). Any remaining amount will be paid to the next three highest finishers on a 50%, 30%, 20% ratio. Players cannot sell or transfer their Cruise Packages to anyone. Those who win only one Finals entry are required to play the Finals of the PartyPoker.com Million IV. PartyPoker.com will pay $12,600 for any additional PartyPoker.com Million IV Finals wins. The funds will be credited to the player’s accounts within two days of the win. There are no Tournament Entry refunds for those unable to make it on the cruise. Structure: Limits will begin at $15/30 (Level 1). Time of Play: Levels 1-9 will consist of 20 minutes each. Levels 10- 26 will consist of 30 minutes each. Play will continue at Level 26 (if it goes that far) until the conclusion of the tournament. Breaks: There will be a five (5) minute break after each hour of play. If two or more players on the same or different table go out on the same hand, the player who started the hand with the most chips will get the higher finishing position. There will be no deals sanctioned by PartyPoker.com in the Semi-finals. Anyone violating the "no deal" policy will be subject to disqualification. Neither unethical behavior, collusion, abusive chat nor disconnect protection abuse will be tolerated. Violators are subject to a range of penalties, up to and including disqualification. All Semi-final winners will be contacted for details and copies of passport / drivers license etc. before the cruise. Anyone whose information does not match the information on records is liable to be barred from the Finals.It is the sole responsibility of the Semi-final winners to get to the ship on time. The PartyPoker.com Million IV will be a televised event on the World Poker Tour (WPT). Players can enter the Finals of PartyPoker.com Million IV by qualifying online by winning a Semi-final. Estimated Prize Pool = $6,000,000!! First place = $1,200,000. All tournament players MUST be atleast twenty-one (21) years of age. PartyPoker.com Million IV Finals Package includes the Entry Fee of $10,200 for the Tournament and a Deluxe Verandah Outside Double Cabin for two (2). PartyPoker.com has "CHARTERED" ms Oosterdam ship for the PartyPoker.com Million IV Final event. The ship sails from San Diego, California on March 19th and docks back at the San Diego port on 26th March, 2005. Win a Luxurious Cruise for two and a paid entry into the Finals of the PartyPoker.com Million IV (package value $12,600). This PartyPoker.com flagship event has an estimated prize pool of over $6 Million. Play Live Poker while enjoying a memorable voyage aboard a Luxurious Cruise with a loved one! When: Tuesdays at 10:15 PM ET & Fridays at 11:15 PM ET. Satellite to PPM IV Supers Multi-Table Tournament $23+$2. PPM IV Supers Qualifier Single-Table Tournament $26+$2. Winners of ‘PPM IV Supers Qualifier’ and the ‘Satellite to PPM IV Supers’ will be automatically registered to the PPM IV Super Satellite on the next upcoming Super Satellite (Tuesday/Friday). We will award as many Finals Packages ($12,600 value) as possible in every Super Satellite tournament. One (1) Finals package will be awarded for every 60 participants and any extra money will be paid to the next 3 places (50%, 30%, 20%). Tuesdays at 11:15 PM EST. Prizes: One entry to the PPM IV Super Satellite tournament (on the following Tuesday/Friday) will be awarded for every 10 players that enter. Any extra money will be paid to the next 3 places (50%, 30%, 20%). Players winning an entry will be automatically registered to the ‘PPM IV Super Satellite’ tournament to be held the following Tuesday/Friday. Format: The tournament format will be a No Limit Hold’em Multi-table tournament. We will award as many Super Satellites entry ($226 buy-in) as possible in every Satellite to the Supers tournament. Registrations: Registration closes 5 minutes prior to the start of the tournament. Wins cannot be transferred to future PPM IV Super Satellite tournaments. It is the sole responsibility of the winners to play in the Super Satellite on the following Tuesday at 10:15 pm EST & Friday at 11:15 pm EST. No refunds will be made to players who are not able to play in the scheduled PPM IV Super Satellite tournament. 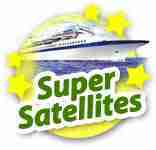 Extra Entries to the Super Satellite for the same weekly period will be refunded. PPM IV Supers Qualifier ($26+$2). When: Limit/NL Hold’em available 24/7. To Enter: PPM IV Supers Sub Qualifier Single-Table Tournament $7+$1 or Direct Buy-in ($26+$2). Prizes: One entry to the PPM IV Super Satellite tournament (on the following Tuesday/Friday) will be awarded for every 10 players that enter. Rank 2 will get $34. Players winning an entry will be registered into the Super Satellite (on the following Tuesday/Friday) automatically. The PPM IV Supers Qualifier single-table sit ‘n’ go tournament starts the moment 10 players are seated. PPM IV Supers Sub Qualifier ($7+$1). To Enter: Direct Buy-in ($7+$1). Prizes: Two entries to the PPM IV Supers Qualifier single-table sit ‘n’ go tournament will be awarded for every 10 players that enter. Rank 3 will get $14. Players winning an entry will NOT be registered into the PPM IV Supers Qualifier automatically. They will have an available freeroll using which they can register to any PPM IV Supers Qualifier single-table sit ‘n’ go tournament of their choice. The PPM IV Supers Sub Qualifier single-table sit ‘n’ go tournament starts the moment 10 players are seated. Extra Entries will not be refunded but can be used to register for more PPM IV Supers Qualifier tournaments. When: Dec 11th at (4:30 PM ET). ($32/3) Million Dollar Qualifier Sit & Go Multi-Table Tournament $32 + $3. ($10/1) Million Dollar Qualifier Multi-Table Tournament $10 + $1. ($20/2) Million Dollar Qualifier Multi-Table Tournament $20 + $2. Million Dollar Qualifier Sit & Go Single-Table Tournament $64 + $6. Winners of the "Million Dollar Qualifiers" will be registered automatically for the Million Dollar Guaranteed Tournament to be held on Dec 11th. Players can win multiple entries to the Million Dollar Guaranteed $600 +$40 Tournament. Players with only one entry to the Million Dollar Guaranteed $600 +$40 Tournament will not be refunded any amount. All players will start the Million Dollar Guaranteed $600 +$40 Tournament with 1500 chips. Players with multiple entries into the Million Dollar Guaranteed $600 +$40 Tournament will have to play one entry and any extra entry above this will be refunded. Players with multiple entries into Million Dollar Qualifiers have to use their entries before the Million Dollar Guaranteed Tournament starts. There will be no refunds. The Prize Pool will be paid out as per our standard Tournament payout structure. When: Available 24/7. Million Dollar Qualifier Sit & Go Single-Table Tournament $64 + $6 will start as soon as there are 10 players registered. The winner gets an entry into the Million Dollar Guaranteed $600 + $40 Tournament. When: Available 24/7. Million Dollar Qualifier Sit & Go Single-Table Tournament $7 + $1 will start as soon as there are 10 players registered. The winner gets an entry into the Million Dollar Qualifier Sit & Go Single-Table Tournament $64 + $6. When: Available 24/7. ($32/3) Million Dollar Qualifier Sit & Go Multi-Table Tournament $32 + $3 will start as soon as there are 30 players registered. The next three places will get $160, $96 and $64 respectively. ($10/1) Million Dollar Qualifier Multi Table Tournament $10 + $1. When: Everyday at 11:30 PM ET and 1:30 PM ET. One seat in the Million Dollar Guaranteed $600 +$40 Tournament will be awarded for every 64 entries. If more than multiples of 64 enter, the remaining money will be awarded to the next three highest finishers on a 50%, 30%, 20% ratio. For example, if there are 650 entries, the prize pool breakdown will be as follows: 1st place - 10th place = Seat, 11th place =$50, 12th place=$30 and 13th place=$20. Registration closes 5 minutes before the start of the Tournament. ($20/2) Million Dollar Qualifier Multi Table Tournament $20 + $2. When: Everyday at 6:00 PM ET and 11:30 AM ET. One seat in the Million Dollar Guaranteed $600 +$40 Tournament will be awarded for every 32 entries. If more than multiples of 32 enter, the remaining money will be awarded to the next three highest finishers on a 50%, 30%, 20% ratio. For example, if there are 645 entries, the prize pool breakdown will be as follows: 1st place - 20th place = Seat, 21st place =$50, 22nd place=$30 and 23rd place=$20. Remember: Registrations for the Multi-Table Million Dollar Qualifiers will close 5 minutes before the Tournament starts. Registrations for the Million Dollar Guaranteed $600 + $40 Tournament will close 1 hour before the Tournament starts. Winners of Million Dollar Qualifiers will be registered automatically into the Million Dollar Guaranteed $600 + $40 Tournament to be held on Dec 11th. Players with multiple entries into the Million Dollar Guaranteed $600 +$40 Tournament will be refunded the extra entries into their PartyPoker.com accounts. Players with multiple entries into Million Dollar Qualifiers have to use their entries before the Million Dollar Guaranteed Tournament stars. There will be no refunds. Freerolls issued to players cannot be sold or transferred to any body else.